We are excited to host Dr. Antwi Akom as our keynote speaker for the 2nd Annual Model the Way Sustainable Leadership Awards!. Dr. Akom is an academic, activist, scientist, and technological innovator with an extensive background in collaborative, community-facing technology projects. His work focuses on designing for the public good, and developing new models of urban innovation in the 21st century that make cities smarter, more equitable, just, and sustainable. Currently, Dr. Akom is a Distinguished Professor and Founding Director of the Social Innovation and Urban Opportunity Lab (SOUL) a joint research lab between the University of California, San Francisco, and SFSU that focuses on culturally and community responsive human centered design. SOUL works to create participatory technologies, integrating Community Driven Data with Big Data to improve equity and eliminate structural racism with our nation’s most vulnerable populations. Dr. Akom is also a faculty affiliate with the Center for Vulnerable Population located at the Zuckerberg San Francisco General Hospital and Trauma Center, where he researches and deploys new health information communication technologies that enable communities to tell their own stories, increase data literacy, improve health care systems, revitalize built environments, and promote equitable community development with vulnerable populations. 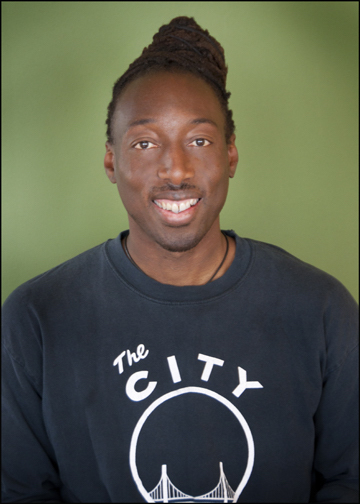 Prior to joining UCSF/CVP in 2016, Dr. Akom co-founded and launched a series of technology startups in the San Francisco Bay area, including Streetwyze, which has been recognized and/or collaborated with Google, Aclima, The Obama Administration, Race Forward/The Center for Social Inclusion, PolicyLink, EcoDistricts, Mithun, Perkins + Will, Movement Strategies Center, Ironbound Community Corp, Enterprise Community Partners, countless grassroots organizations, and the Rockefeller Foundation’s 100 Resilient Cities to name a few. As Co-Founder and CEO of Streetwyze, Dr. Akom’s work has also been featured in award winning publications such as: the Atlantic’s CityLab, The Root, Tech Republic, Green Biz, Tech Crunch, and was recently named by PolicyLink as one of the top new health equity tools and mobile platforms designed to build power and self-determination with vulnerable. His most recent TedX Talk, featured below, explores how innovation can flourish in poverty. You can see Dr. Akom at our Model the Way event on April 12th. Tickets available now!